Yes, tolerates light frosts and moderate freezes. Beans, Dill, Lettuce, Mint, Nasturtium and Thyme. Sow directly in the soil in early spring, or start indoors and set out seedlings. 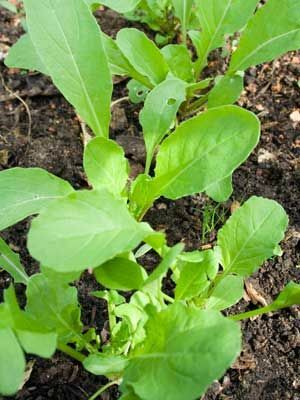 Arugula also makes a fine fall crop, and plants often survive winter with a protective mulch. An easy salad crop that doubles as a cooked green. Flower buds are also edible. Hot weather causes leaves to become very strongly flavored. Harvest young leaves as you need them for cooking. The flower buds and flower petals also are edible. Flea beetles sometimes make small holes in leaves.